We offer a lot to give you more and to make your stay comfortable! 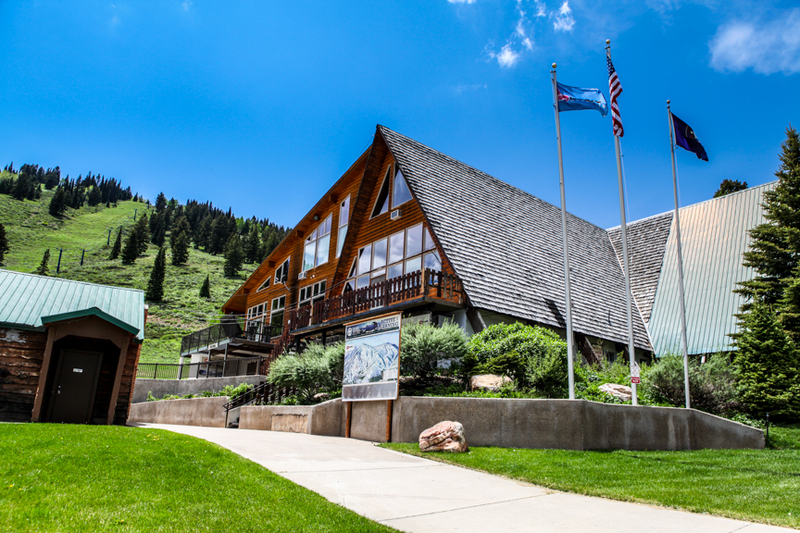 Ski Lodge available for weddings, reunions, youth groups, conferences etc. May be rented in conjunction with camp sites. Mountain Yurt also available for groups. App. 5 mile single track mountain bike trail onsite. 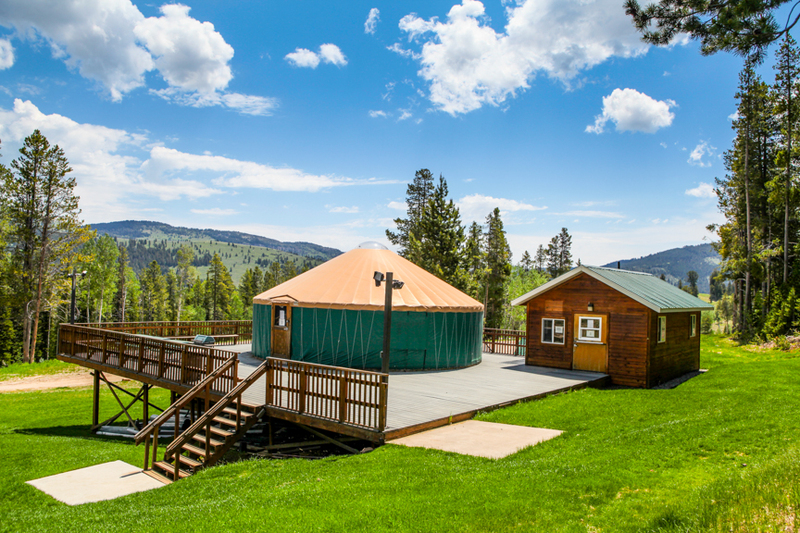 Rental of the lodge or yurt also includes a large grass area (adjacent to each structure) perfect for outdoor events! Check in is at 2:00 p.m. Check out is at 12:00. Always check with camp host when arriving. 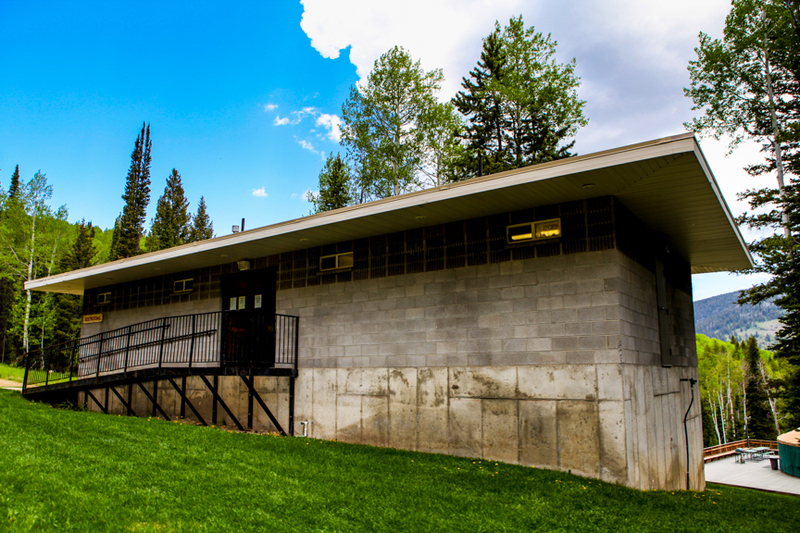 The camp hosts are in the first trailer closest to the lodge in the main parking lot. Please be courteous of your fellow campers who have reserved a spot after you. You are welcome to extend your stay depending on availability. You may have to change camp spots. Again, our maximum length of stay is 7 days. Please check with the Camp Hosts. 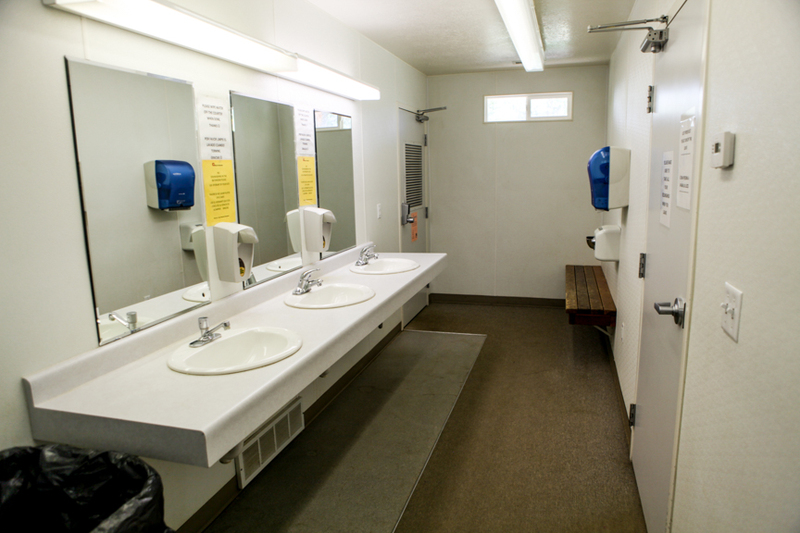 The maximum length of stay we allow in any of our campgrounds is 7 days. Please inquire if you have special circumstances. 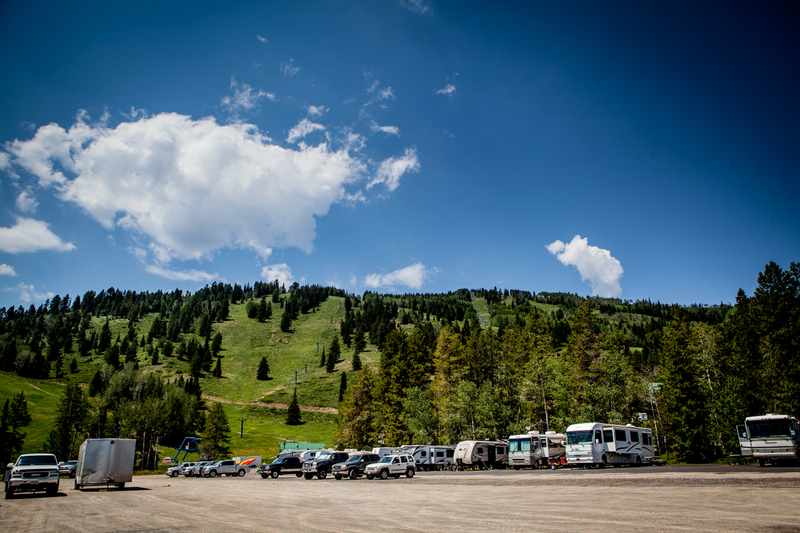 One great thing about the RV Park at Beaver Mountain is the parking areas we have available. WE DO NOT CHARGE ADDITIONAL FEES FOR EXTRA VEHICLES. If you have OHV or boat trailers please park them across from the trailer area leaving a lane available for traffic. 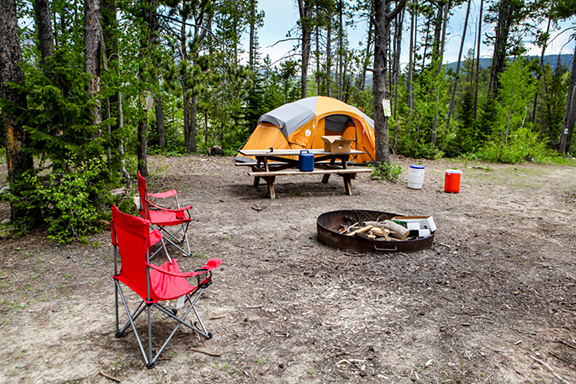 Our tent camping areas have limited parking at each tent site. Additional vehicles may need to be parked a short distance away. Only one “camping vehicle” (trailer) is allowed in one reserved spot. Multiple trailers not allowed in one spot. 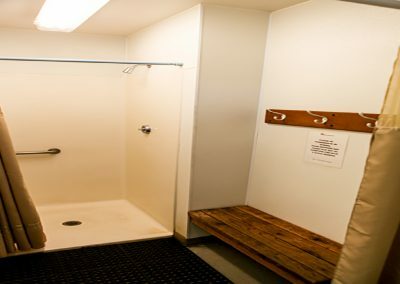 Your pets are definitely welcome at Beaver Mountain. Your dogs must be kept on a leash at all times. We do not allow unattended pets in the campground at any time. Please clean up after your pets. We do not allow continuously barking dogs to infringe on our guests. No pets are allowed in any Beaver Mtn Buildings. Fires are allowed only in improved Beaver Mountain fire pits. Portable gas fires are ok. Please do not “create” your own fire pits. Beaver Mountain may at any time restrict camp fires due to local fire danger. You are more than welcome to bring your OHV’s camping with you. We have great trail riding close to the campground on the National Forest and State property. We do not allow guests to ride on the Beaver Mountain Ski Resort. If you are commuting through the campground please restrict your speed to 5 mph or slower as we have guests and children playing. Quiet time starts at 10:00 p.m. It lasts until 7:00 a.m. Please respect your fellow campers and obey the quiet time rules. This includes barking dogs. 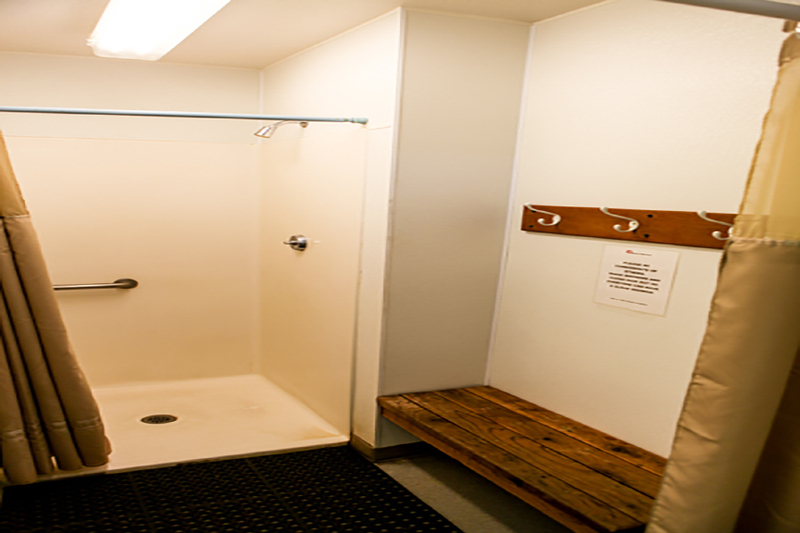 When you make your reservation for camping you will be charged the full amount for your stay. It is your commitment for that scheduled period of time. If you need to cancel your reservation prior to your arrival the following schedule list the details of cancellations. There is NO general store. There is NO power at any of the tent sites. Directions: 27 miles east of Logan on Hwy 89. 13 miles west of Garden City on Hwy 89. Turn at small intersection: Hwy 243 from either direction. There is a brown Utah State Hwy sign indicating where to turn. Get started by clicking a Camp site on the map below!